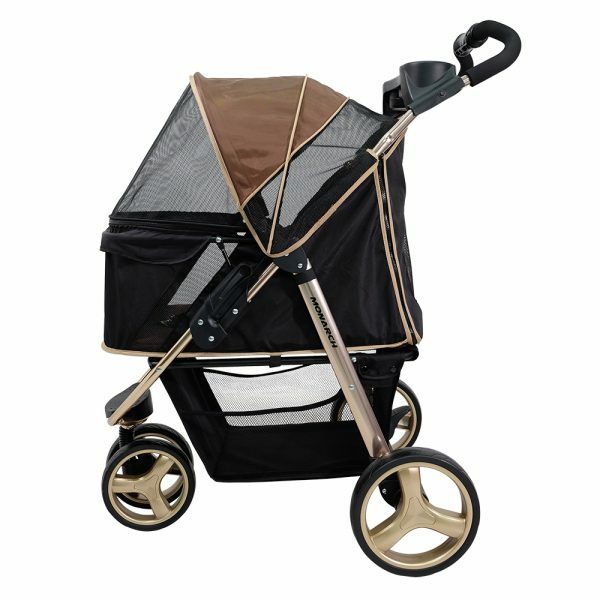 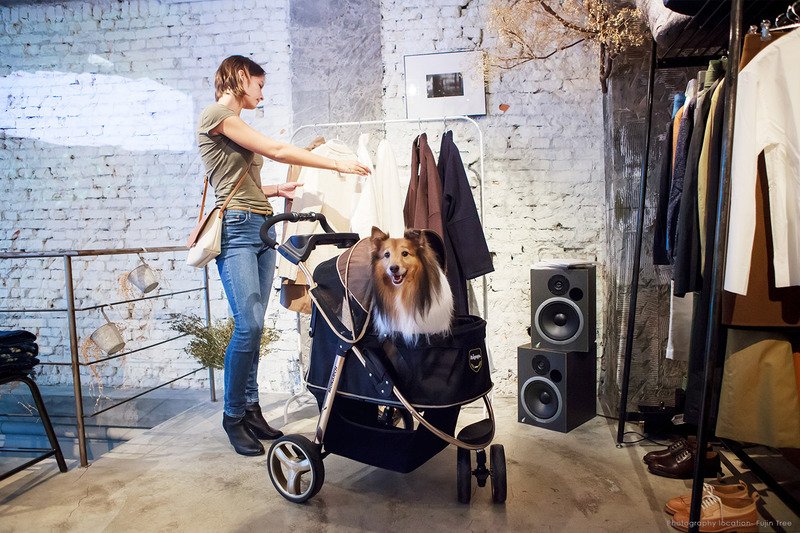 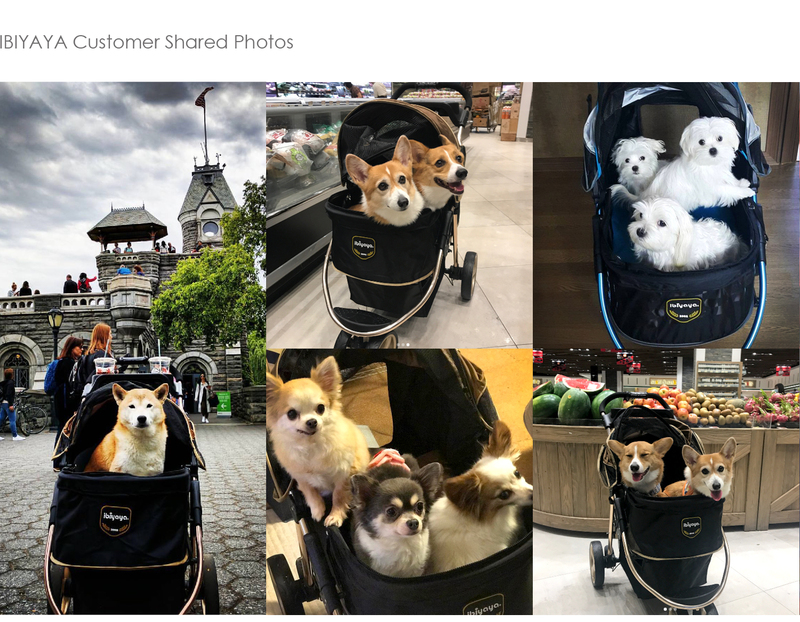 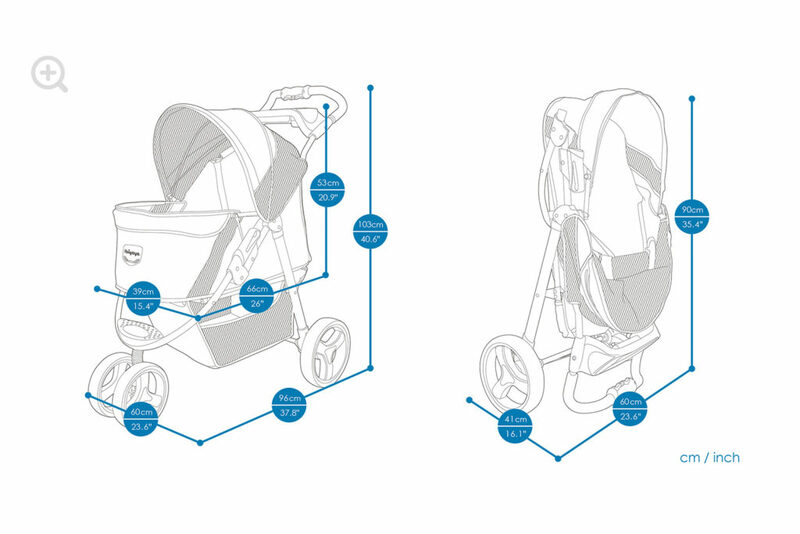 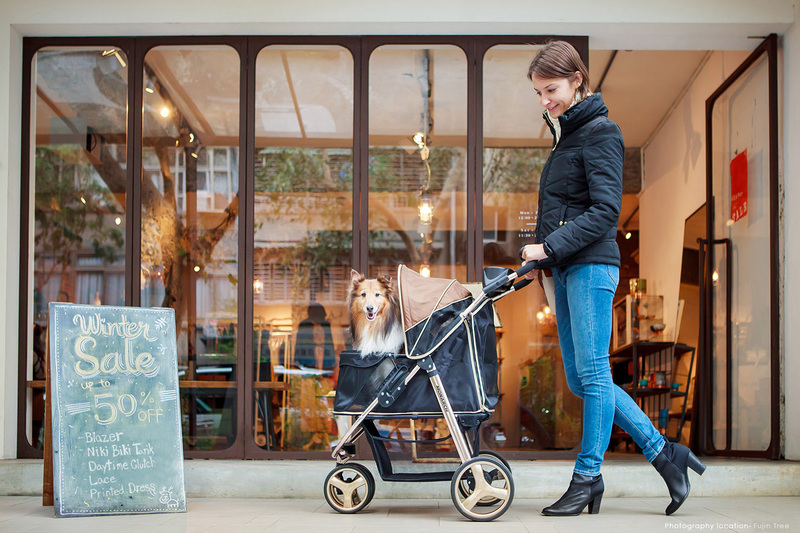 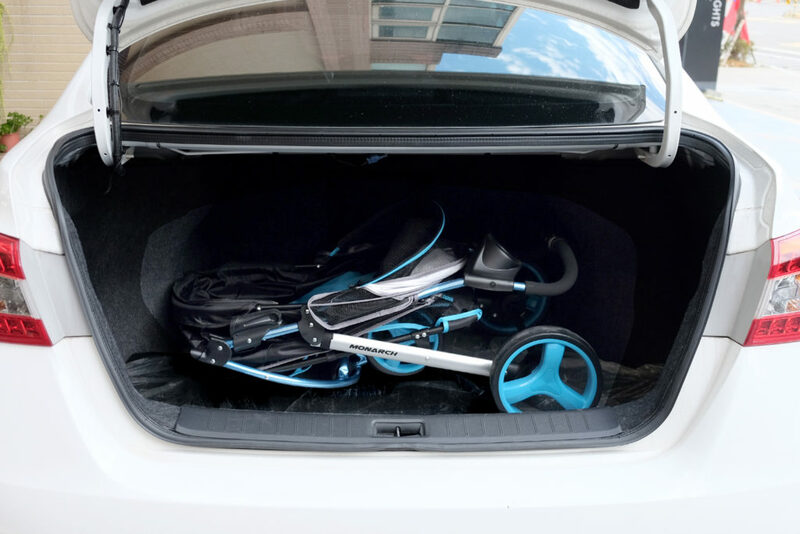 A truly luxuries stroller that catches everyone’s eyes! 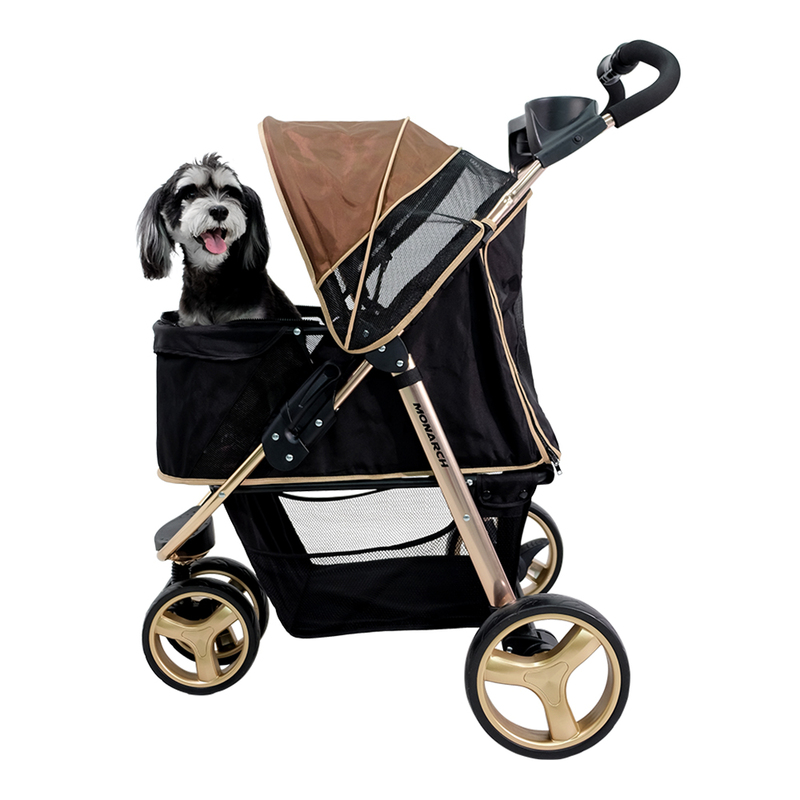 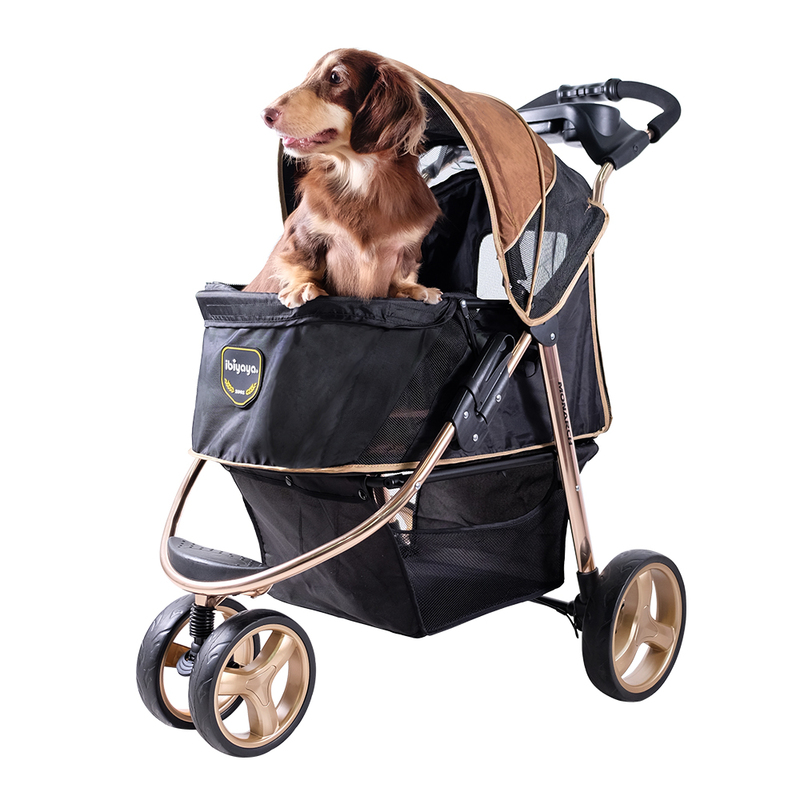 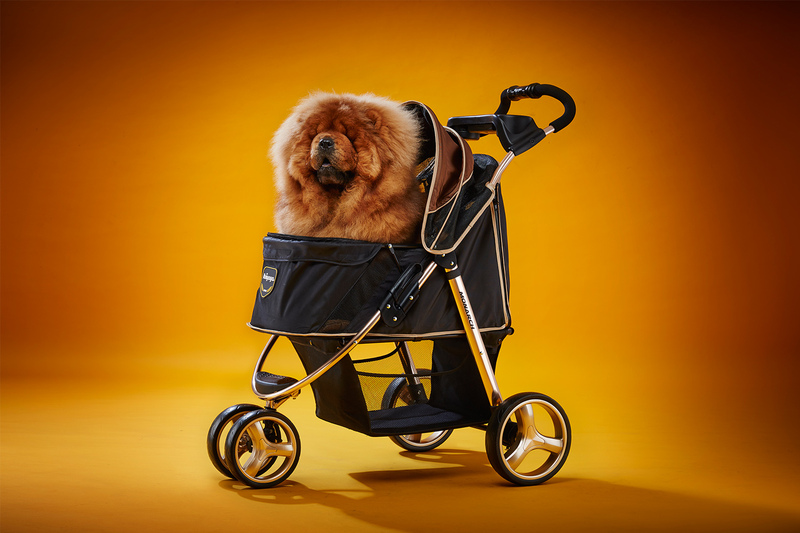 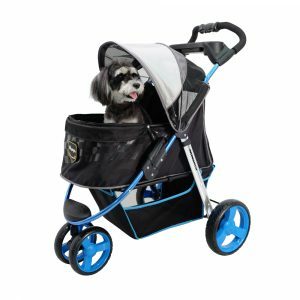 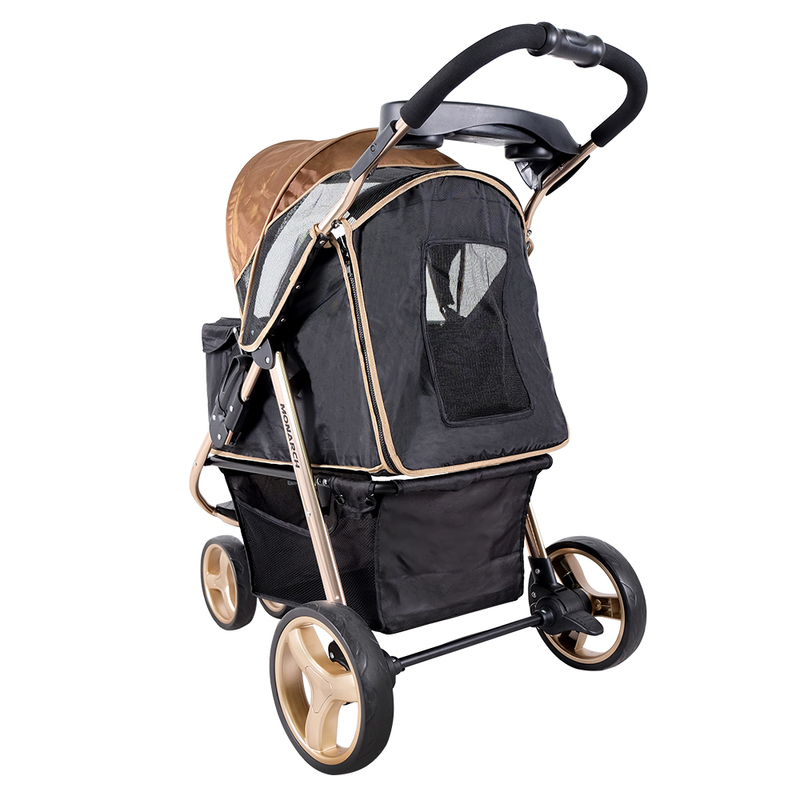 The Monarch Premium Pet Jogger consists of a scratch-resistant, anodized, and aluminum gold frame, creating a uniquely stunning look. 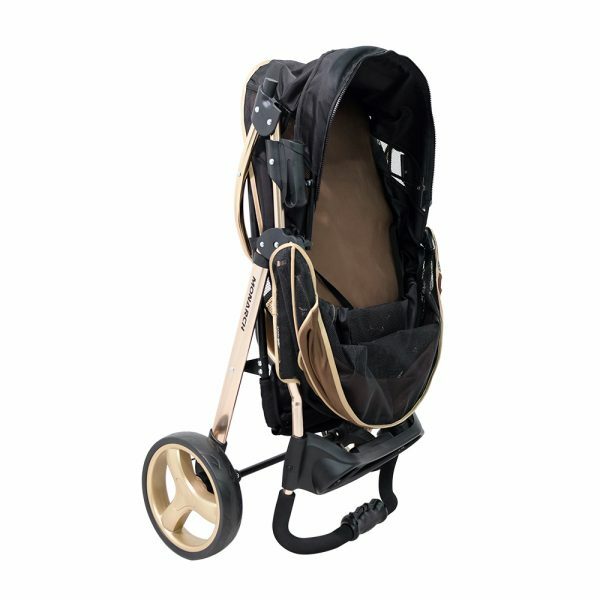 With a total weight of only 7.70 kg, the Monarch is super easy and light weight to push around! 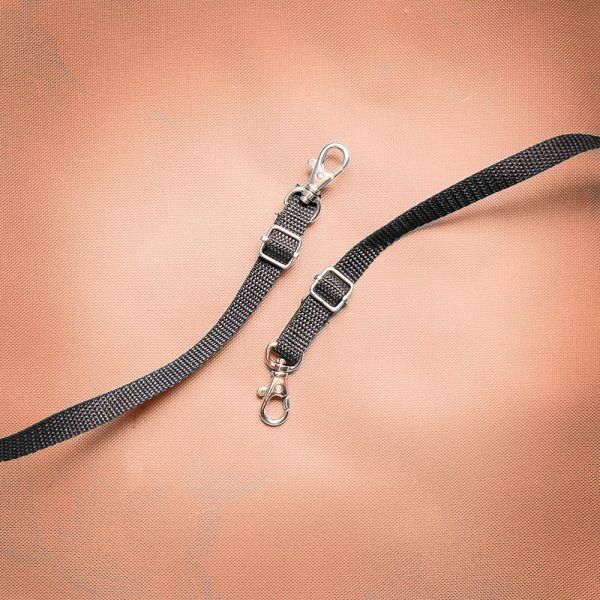 ◆Premium featuring an ultra light anodized aluminum frame with easy one hand fold. 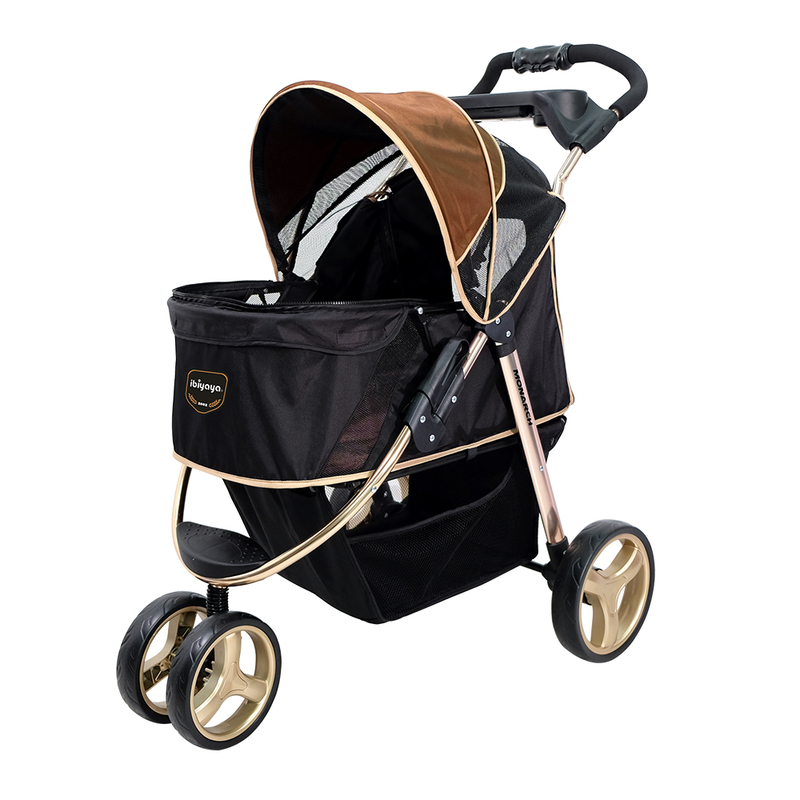 ◆All-wheel suspension for a smooth ride. 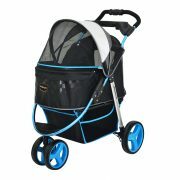 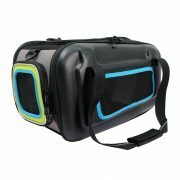 ◆The Extra-large storage basket is always accessible.